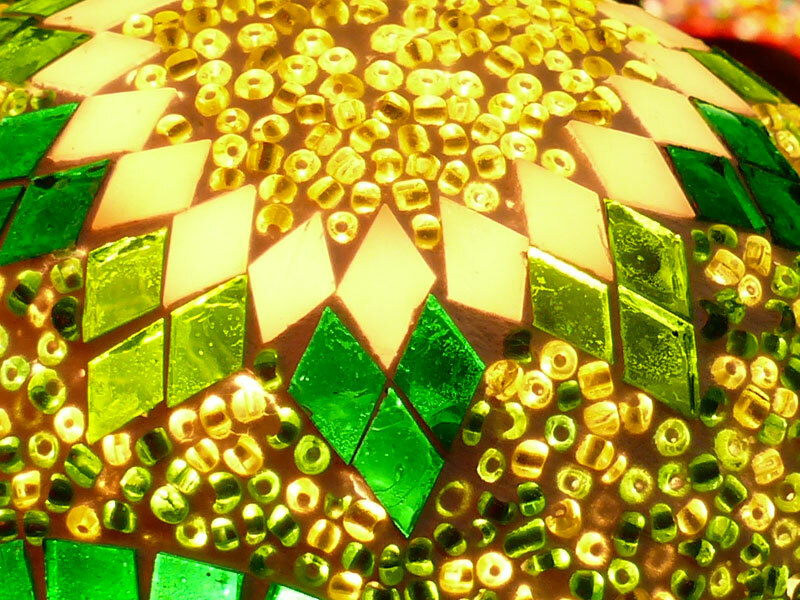 This lamp is made of glass, then small pieces of glass and sequins have been pasted on it. Those small pieces are remarkable ordinary and boring on their own but there is a magic when they get together. 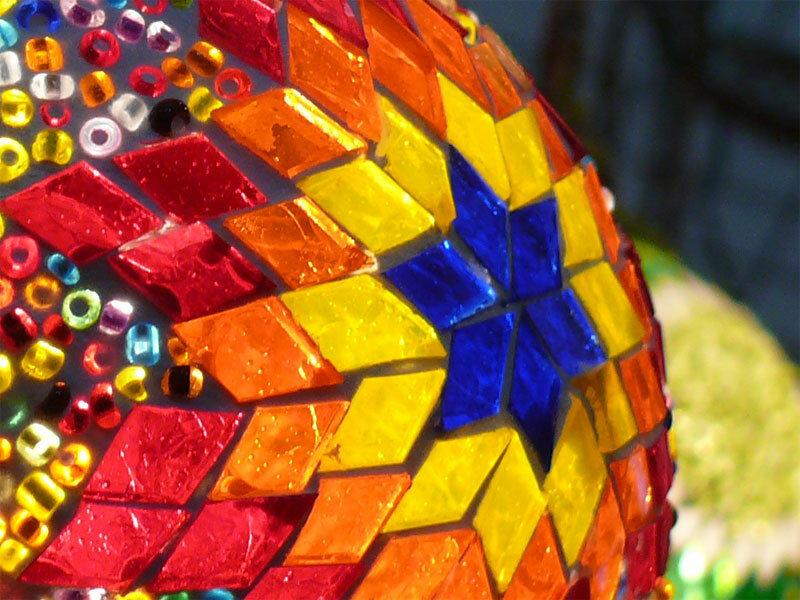 Together they transform a boring sphere to something exotic, rich, colourful and vibrant. The same happens with small experiences in our life - on their own they may mean nothing but collectively they make for our life.